Interested in what we’re doing at the allotment? You’re in luck. Spring also means that the Syon Lane Sunday open days are back each week from 12pm. All are welcome! For details on how to get to us, see the website here – and you can join in the discussion on Facebook and Twitter too. You can find more of my photographs from Syon Lane here. For more information about Syon Lane, visit their website or see more of my photos here. Good news from Syon Lane! I’m very pleased to report that, after much diplomatic negotiation, the volunteers at Syon Lane Community Allotment have been granted another year on the site – it seems that after a lot of hard work on the part of the volunteers over the last couple of years (including winning an award and being featured in the local paper! ), the owner of the land was impressed with what has been achieved and was therefore happy to extend their time there. If you’d like to know more, or are interested in getting involved, please visit the Syon Lane website or contact the team on Twitter. For more from Syon Lane, see here. I was back at Syon Lane Community Allotment at the weekend and the place is definitely in harvest mode, as you can see from these pictures (click on any of the images for a larger version). For more of my photos of Syon Lane, see here. Last weekend saw me at Syon Lane Community Allotment again. Naturally, I brought my camera along, and managed to get some great pictures of the site coming into its summer colours – and beautiful they are too… (click on any of the images above to see a larger version). If you’d like to visit, there is an open day every Sunday from 12pm and all are welcome. For details of how to get to the Allotment, see the map and travel info on the Syon Lane website here. For regular updates on what the Allotment volunteers get up to (and some lively discussion), join the Syon Lane Community Allotment Facebook group, or follow @SyonLane on Twitter. You can find more of my photos from Syon Lane here. Interested in land rights? Then you might be interested in this. 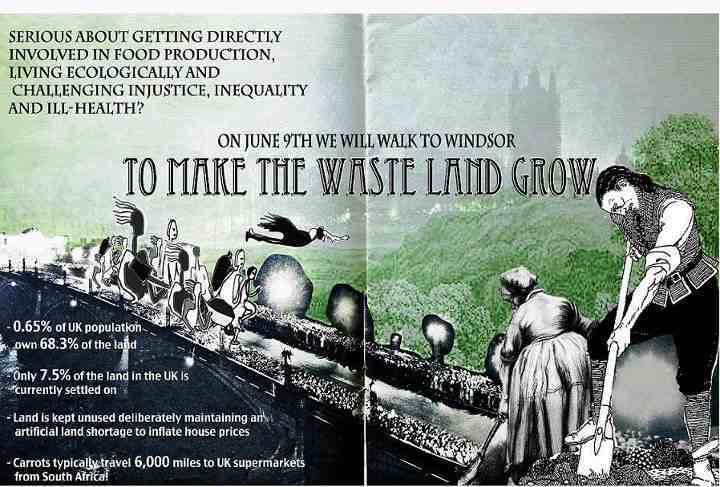 The new eco-villagers will be walking to Windsor from tomorrow (Saturday 9th June 2012), camping overnight en route. They will hopefully be arriving at the new eco-village site at some point on Sunday 10th June. If you’d like to join them, they’ll be leaving from Syon Lane Community Allotment at 1pm on Saturday, or you can meet up with them at the site or even at any point along their route – just get in touch and they’ll let you know where they are! For more information, see their website and Facebook event page, email diggers2012@yahoo.co.uk, follow @freetheland on Twitter or call/text 07963 475 195 /07905 283 114. If you can’t join them this weekend, maybe you could take a look at the eco-villagers’ Wishlist – which can be found here. You would be of great assistance if you could possibly help out with any of these items! Despite the pouring rain putting off a few visitors and volunteers, the Syon Lane Community Allotment Big Dig Open Day turned out to be a fun and productive afternoon. You can see some of the things we got up to (including making hundreds of seed-balls, filling up the greenhouse with lots of newly-planted seeds in pots, and getting our bathtub wormery up and running!) in the photos above. We were also visited by a photographer from the local paper, and you can see some of his photos here. Thanks to everyone who came down and made it such an enjoyable day! 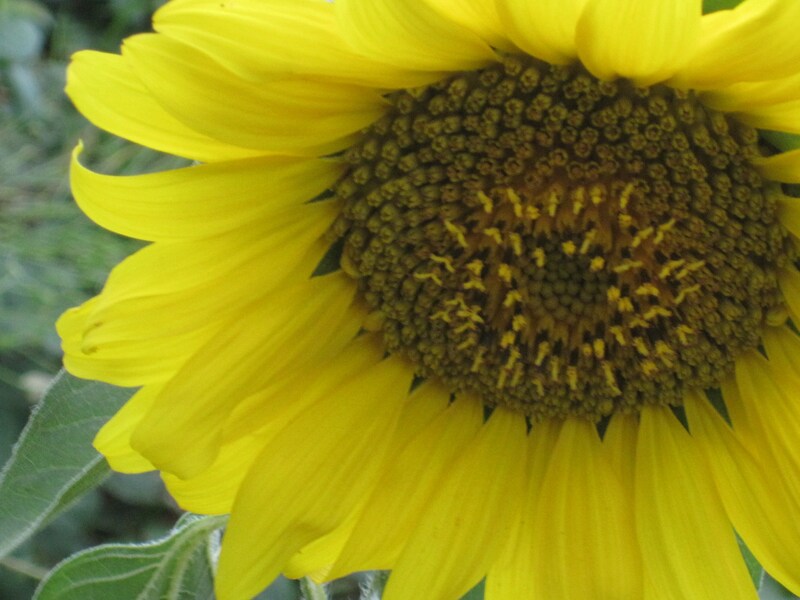 For further information on Syon Lane Community Allotment, visit their website, and join the Facebook group for more updates. You can also see what Syon Lane looks like at different times of the year by checking out some of my photos here, here and here.